^ Hello Seoulite5, welcome to the thread. So good to read your thoughts, although I must say.. I never saw the movie that way.. when it's obvious that the teacher had fallen for his student. Directly or directly.. Unfortunately.. I'm not the best person to talk about the movie. I love LBH's acting.. he's just soooo into it and I also love his chemistry with LEJ. Frankly.. I would prefer the movie to stay as a lovestory between a man and a woman. And nothing in between.. physically.. mentally.. literally. Bungee Jumping of Their Own just missed greatness--if only it weren't hiding under the facade of a plot about a 'woman hiding in a 17-year old boy's body' in order to avoid the blows from a homophobic nation and media. The promos for the movie only enhance this--they are all images of a MAN AND A WOMAN. Did they forget that the driving conflict of the movie was about a Professor falling for his male student? Where are the images of the kid? 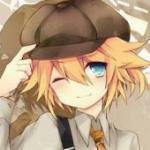 I didn't quite see and feel the love coming from the male student.. disguising as the former lover or not. LBH's acting was superb.. he's really longing and reaching for the past love.. whom sort of "stayed with him and never left" (till he even doubts his own sexuality).. but the student (played by a new talent at the time) did not indicate or seem reminded anything of her. 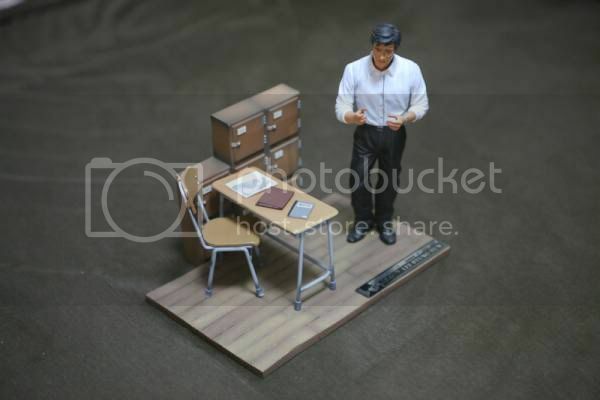 It's kinda lost as he remains rather unaffected... while the teacher spotted and recognized "her" almost at once. Still I enjoyed the movie as I saw it.. I understood the climax and the action they took (however unbelievable as the teacher left his own wife and daughter) because love does make people do the most unthinkable. Just that the LBH-LEJ chemistry really overpowers.. the love that returns the second time. I love their rendevouz as the young sweethearts.. the attraction and feelings for each other really stood out.. so, it's understandable that he'll never forget her.. as whomever she might have become. But I must say.. your point of view is really something new.. not exactly romantic.. in the normal way. But anyone can interpret anything.. when it comes to love. Nothing is unusual anymore. Finally, today I get time to watch this movie (very late at night), Thanks rubie . I like this movie a lot, but I don't like the ending though. As a matured man, he shouldn't do that, not jumping with the student. But I do share the thoughts as you rubie about the student seems to be not indicate anything about her at the first time, it seems more when the student got the lighter at the market. And I really love the chemistry between LBH-LEJ, great pair. As for the acting, LBH always convince me, his acting was super. But seriously, I didn't expect to see him holding hand with a guy like that, haha it was just not LBH. But he did a great job there. Love his smile. Overall, I like the story much, but wish the ending could be different though. ^ So glad to read your thoughts, Eldri. Really appreciate the feedback. I've actually managed to find the dl links (in MU) for the movie that I've forgotten all about them. So many things on my mind lately but I think watching on crunchyroll is so much easier. I think this is what Seoulite5 was saying.. the 'twist' in the movie which could be interpreted either way. If Tae Hee had returned in a woman's body (young or older) instead .. it would just be too easy.. too normal... too cliche. People won't see it as something so wrong. But 'her' being a male's body.. and in this case.. a student, no less.. have definitely created some 'sparks' .. in a much-controversial subject. When the teacher held the student's hand before the final jump.. it's like he found his will to 'live'. But most expression and emotions were shown from LBH's point of acting.. the student's own revelation isn't that convincing. Seems to me .. he is still the student a boy.. and not THE 'someone' else he should be. a must-read wonderful write-up at YESASIA's YumCha! With the seemingly never ending popularity of the Korean Wave continuing to flourish, a number of stars have become household names both at home and all around Asia. Korean television dramas in particular have proved to be a huge success, elevating certain male actors to heartthrob status, especially in Japan. However, Lee Byung Hun is one of the select few who can truly claim to have achieved global stardom, having won over audiences not only in Korea and Asia, but also in the West, with several promising Hollywood roles lined up, and being the only one of his countrymen to currently have US agent representation - no small feat in an industry notoriously resistant to all but the biggest of foreign stars. This should perhaps come as no surprise, as Lee is far more than a mere pretty face, having won praise for his acting skills in a long line of television series as well as starring in a healthy number of blockbuster films, many of which have been international hits. In addition to this, he is somewhat of a renaissance man, being fluent in English and French as well as in his native tongue, making him a natural choice for roles in almost any country in the world. Lee Byung Hun was born July 12, 1970 in Seoul. Interestingly, he started off not in the arts, but majoring in French at Han Yang University, something which would stand him in good stead for the future. After graduating, he made an important decision by enrolling at Chung-Ang University to study theatre and cinematography. Having found his true calling, he focused his energies on acting, dedicating himself to a career on screen. Lee took his first step up the ladder in 1991 after being noticed at the 14th annual public audition held by Korea Broadcast System (KBS). Winning a contract, he made his debut appearance the same year in the television drama Asphalt My Hometown, immediately winning favorable notices for his performance. Over the next couple of years he continued to star in television dramas, gradually raising his profile through the likes of Family, Days of Sunrise, and the mini-series Morning Without Goodbyes. In 1992 he featured in Tomorrow in Love, a top-rated youth drama directed by Yoon Suk Ho (who was later responsible for the classic Winter Sonata series), which edged him closer to idol status. Although his popularity was growing, major mainstream success still eluded the actor, and he continued to work in television, appearing in more dramas such as The Fragrance of Love and Dream Racers (which was partly shot in the US). In 1995 he made his film debut in the romance Who Drives Me Crazy?, which he followed in the same year with Run Away, a gritty youth drama from director Kim Sung Su, who later made it big with Musa the Warrior and Please Teach Me English. Still, this did not quite usher him to superstardom, and he spent a few more years paying his dues with appearances in hit television series such as the boxing drama Beautiful Woman and youth melodrama White Nights 3.98, and in the films Kill the Love and Elegy of the Earth. 1999 finally saw Lee get his breakthrough as he starred in the massively successful series Happy Together, which featured an all-star cast featuring Song Seung Heon, Kim Ha Neul, and future My Sassy Girl favorites Jeon Ji Hyun and Chae Tae Hyun. 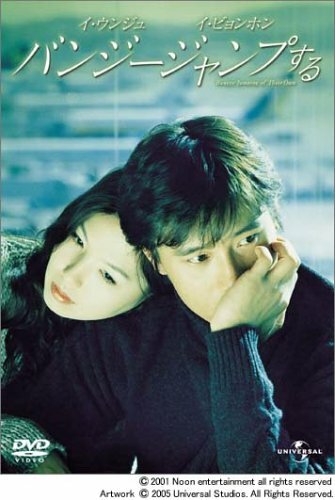 Sunflower, an anthology of love stories which also screened in 1999, saw him performing alongside a similarly impressive ensemble including Choi Ji Woo (Stairway to Heaven) and Yoo Ji Tae (who went on to be a popular actor in his own right, starring in Oldboy, One Fine Spring Day, and other films). In the same year he also made an impact in cinemas with The Harmonium In My Memory, director Lee Young Jae's adaptation of the best-selling Korean book Female Student. The film was a tender though believable tale of first love, revolving around a schoolgirl in rural 1960s Korea (played by Jeon Do Yeon, recently excellent in Lee Chang Dong's Secret Sunshine), and offered Lee a memorable role as her new teacher, who she develops a crush on. Interestingly, during the same year the actor also showed himself to be multitalented with the release of his music album To Me. Lee followed this with his biggest and most successful role to date in Park Chan Wook's blockbuster hit JSA: Joint Security Area. A gripping murder mystery thriller set in the demilitarised zone between North and South Korea, the film saw Lee in top form, and also featured fine performances from Song Kang Ho (a regular Park collaborator, and who recently starred in Bong Joon Ho's The Host) and actress Lee Young Ae (who later took the title role in the director's Sympathy for Lady Vengeance). It was a commercial and critical smash, ranking as the highest-grossing film at the domestic box office ever at the time, and winning a variety of awards. The film was also popular internationally, particularly in Japan, and won nominations and prizes at several festivals including Berlin and Deauville. Now officially a film star in his own right, Lee next was given the chance to headline in Bungee Jumping of Their Own, the debut feature from director Kim Dae Seung (later responsible for Blood Rain). The oddly titled film featured a suitably unconventional plot, tackling themes of undying love and reincarnation - in this case following Lee as a teacher who suspects that his long-dead sweetheart may have been reborn as one of his young male students (played by Yeoh Hyun Soo, also in Holiday and Birth of a Man). Despite this awkward premise, the film offered a moving exploration of the real nature of love, and Lee flourished in his complex role, proving himself to be a talented and versatile actor. A winner at the prestigious Blue Dragon Awards in 2001, the film helped raise his profile, and to further his acceptance as a serious thespian rather than just a pinup idol. 2001 also saw the actor continuing his run of television hits with the dramas The Long Way and Beautiful Days, the latter giving him one of his most memorable and charismatic roles. At this time, the Korean Wave was really starting to take off, especially in Japan, and both were popular at home and abroad. As a result, and with Lee now established as one of the most popular Korean stars of the movement, a number of his older series were reissued and aired, all to similar success. After providing one of the voices for the animated film My Beautiful Girl, Mari, next up for Lee was a trio of big screen hits, beginning with Addicted from director Park Young Hoon. A supernaturally themed romance in which he featured with actress Lee Mi Yeon (with whom he had co-starred in The Harmonium In My Memory) as a man who seems to take on the personality of his comatose brother. Skillfully combining themes of possession and obsessive love, the ambiguous film added yet another feather to Lee's cap, and has since been picked up for a rather needless Hollywood remake. Next came Everybody has Secrets, a daring romantic comedy which saw Lee taking on the quite possibly real-life role of a man who seems to be nigh on irresistible to women everywhere. No doubt seeking something a little more challenging, he then reteamed with Park Chan Wook for his Cut segment of the horror anthology Three...Extremes, playing a film director tormented by a psychotic fan. Never one to be accused of resting on his laurels, Lee somehow also found time in 2003 to star in the television series All In. A gambling themed drama, the show became one of the most popular and talked about across Asia, not least due to Lee's off-screen relationship with his co-star, Korean actress Song Hye Kyo (a television idol in her own right, recently in period piece Hwang Jin Yi). In 2005 Lee worked for the first time with top director Kim Ji Woon, who had just been responsible for A Tale of Two Sisters, possibly the best Asian ghost film of recent years, on A Bittersweet Life. Unfairly, though perhaps inevitably compared with Old Boy on the grounds of it being another noir-style thriller, whilst violent and ambiguous, the film was far more of a character piece, being quietly emotional and surprisingly sentimental amongst all the flying bullets and spraying blood. A deserved critical and commercial hit which earned a widespread international release, playing at Cannes and other high profile festivals, the film also won Lee considerable praise for his effective turn as an obtuse, eccentric killer. Next in 2006 came a change of pace with Once in a Summer, a romantic drama spanning thirty years in the lives of two lovers, with Lee playing a student in 1969 who volunteers to work in the countryside, where he meets and falls for local librarian Jung In (Soo Ae, also in the television series Love Letter). Switching between past and present, the film works well, mainly due to the fact that it is actually a far more substantial affair than might have been expected, exploring the political turmoil of Korea during the last few decades, using the romance to provide a painfully human perspective on national events. 2007 saw Lee's incredible popularity being highlighted again through his cameo appearance in the Japanese courtroom drama Hero, based upon the successful television series. Although minor, the actor's role made for an attention-grabbing scene, which basically involved the main character travelling to Korea for the express purpose of seeing him. In the same year, Lee was also immortalized by having his likeness used for the Capcom video game Lost Planet: Extreme Condition, again underlining his international appeal. Lee's next role sees him joining forces once more with director Kim Ji Woon for the eagerly awaited and eccentric sounding Korean Western The Good, The Bad, The Weird. Boasting an incredible trio of leading men, with Lee playing The Bad, Jung Woo Sung (recently in The Restless and Daisy) playing The Good and Song Kang Ho (naturally) playing The Weird, the film is a tribute to Sergio Leone's 1960s Spaghetti Westerns, set in Japanese occupied Manchuria in the 1930s - all of which is more than enough to make it a mouth watering prospect. Inevitably, Hollywood came calling, and Lee answered, accepting a role in The Mummy director Stephen Sommers's live action G.I. Joe: Rise of Cobra. Although acting in a film based upon a children's cartoon and range of toys may not necessarily seem particularly dignified or fitting for such a respected performer, it represents Lee playing by the usual rules and accepting the type of part usually offered to Asian actors in the West. At least with the film being a big budget, blockbuster affair, it will certainly offer the actor widespread exposure, and if a hit will hopefully lead to more offers more befitting his talents. A more interesting international prospect on the horizon is I Come With the Rain, which he recently completed for Vietnamese director Tran Anh Hung, who previously won acclaim for Cyclo and The Scent of Green Papaya. A moody private eye thriller, the film has an intriguing cast, including Josh Hartnett, Hong Kong actor Shawn Yue, and Hero star Kimura Takuya. As if this wasn't enough for Lee's legions of fans, the actor is also returning to Korean television screens with IRIS, the country's most expensive series to date, which he will co-produce as well as star in. Although details of the plot have yet to be released, with Lee involved it is highly unlikely that it will be anything other than yet another hit, and indeed that it will serve only to propel his star even further into the stratosphere. Original spource: YESASIA - YumCha! SEOUL -- South Korea and New Zealand signed a film co-production treaty Monday, capping many years of negotiation. The treaty, proposed in 2003, will give co-productions all the benefits of the two countries' own projects, including funding and tax breaks. Pact also allows for temporary immigration and importation of equipment. South Korea's Ministry of Culture, Sports and Tourism said the treaty will contribute to the globalization of Korean films. The treaty is expected to expand the exportation of Korean films, as it allows overseas distribution of the co-productions. "This agreement will provide a further boost to filmmakers to advance these projects," New Zealand Prime Minister Helen Clark said at the signing ceremony in Wellington. 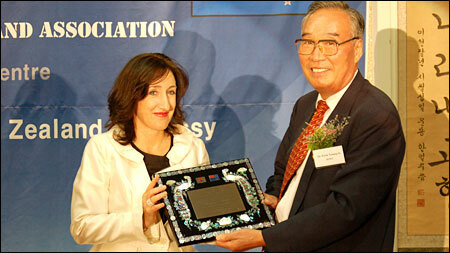 In 2005, Clark signed an Audio Visual Cooperation Agreement with South Korea at APEC in Pusan. In 2007, film producers of both countries signed an agreement to collaborate on co-production projects, led by Film Auckland and the Korean Film Producers Assn. South Korea has a co-production treaty with France, while New Zealand has such deals with eight other countries including Germany, Canada and the U.K.
Korean films lensed in New Zealand include "Bungee Jumping of Their Own," "Silmido," "Oldboy" and "Antarctic Journal." More recently, U.S.-Korean co-production "The Laundry Warrior" was lensed in New Zealand with the participation of "The Lord of the Rings" producer Barrie M. Osborne. Japan's largest commercial satellite channel Sky Perfect TV will hold a two-month-long special event during which it will feature films and dramas starring Korean actor Lee Byeong-heon. The event will begin this month. Prior to the event launch, Sky Perfect TV produced and aired four different versions of a TV ad promoting the event. During the "Lee Byeong-heon Festival" period, the channel will air some of the actor's major works including "Addiction," "Once in a Summer," "Lament" (Elegy of the Earth), "A Bittersweet Life," "Bungee Jumping of their Own," "Happy Together" and the drama series "All In." Five Korean filmes ― "Bungee Jumping of Their Own," "Old Boy," "Silmido," "Antarctic Journal" and "It's Okay As I Love You?" ― have one thing in common: They have made contribution to the Korea-New Zealand relationship. Besides the films, many Korean soap operas and commercials have also been filmed in New Zealand whose exotic, preserved nature has appealed to many international filmmakers. The new area of cooperation is drawing immense interests from both sides, producing several agreements on the private and public levels. The most recent, signed Oct. 1 between New Zealand Prime Minister Helen Clark and Minister of Culture, Sports and Tourism Yu In-chon was on film co-production. The signing took place on Oct. 1 during Yu's visit there. Clark said, "This accord will provide a further boost for filmmakers to advance those projects. I look forward to seeing the results on screen," according to the New Zealand Embassy in Seoul. The accord will offer financial assistance to joint film projects; recognizing them as what it calls "National films" and help promotion of the films. New Zealand Ambassador to Korea Jane Coombs congratulated the agreement, hoping to see many Korea-New Zealand joint films. It didn't look usual to members of the Korea-New Zealand Association (KONZA), a private organization, which celebrated its 40th anniversary last Friday. The association was established in 1968, six years after the establishment of diplomatic ties between the two countries. Conceived by Korean students sent to New Zealand under the Colombo Plan, the association has kept records of the lives of Korean immigrants, assisted new Korean immigrants and most recently, published a book, "A History of Koreans in New Zealand." The Colombo Plan was part of inter-governmental efforts to strengthen economic and social development of member countries in the Asia-Pacific region. Korea joined in 1962. The first Korean students educated and trained there, contributed to Korean financial and agricultural development. Chairman Park Young-in said, "Since the founding of our association, we tried to be involved in non-government social and cultural activities with great honor." He also thanked the New Zealand Embassy for its support. Ambassador Coombs said in reply, "the story of KONZA is a model of how government and people can work harmoniously for a common outcome, and how the 'personal' and the 'official' interact and underpin each other." She has received a honorary award for her dedication in promoting Korea-New Zealand relations during a party to celebrate the anniversary at the Diplomatic Center in Seocho-dong, Seoul, Friday. She is leaving in December, after ending her three-year tenure. Korea-New Zealand relations go back to the 1950-53 Korean War when New Zealand deployed 6,000 troops to fight in Korea. The two countries established formal relations in 1962, and the embassy in Seoul opened in 1971. Starting out of benevolence, the two countries have grown to become important trade partners. Nearly zero exchange of commodities in the 1960s has developed to reach $1.9 billion now. Personnel exchanges have also increased. Now, around 120,000 Koreans and New Zealanders visit each other's countries, according to Lee Kang-kook, an official at the Ministry of Foreign Affairs and Trade. New Zealand is now one of the most desirable tourist destinations, education places and immigration spots for Koreans. Currently, nearly 30,000 Koreans reside there, while New Zealand's presence in Korea is visible particularly in the field of education. The "Discovery Channel," a documentary TV channel, is to broadcast a program about Seoul and its residents. Entitled "Hip Korea," the program consists of two 45-minute parts. The one entitled "Seoul Vibes" introduces Rain, while the other one, entitled "Seoul Savvy," is about Lee Byung-heon. The part about Rain shows the Hongik University, Cheongdam-dong and Chyeonggye Stream areas to introduce the dynamic side of Seoul, while the part about Lee shows Apgujeong-dong, Insa-dong and Samcheong-dong to introduce the serene and romantic side of Korea's capital city. The show will air in Australia and New Zealand in January, in Southeast Asia in February and in Europe in May. A government official said the program is expected to improve Seoul's image by showing off the city's unique charms on the Discovery Channel. 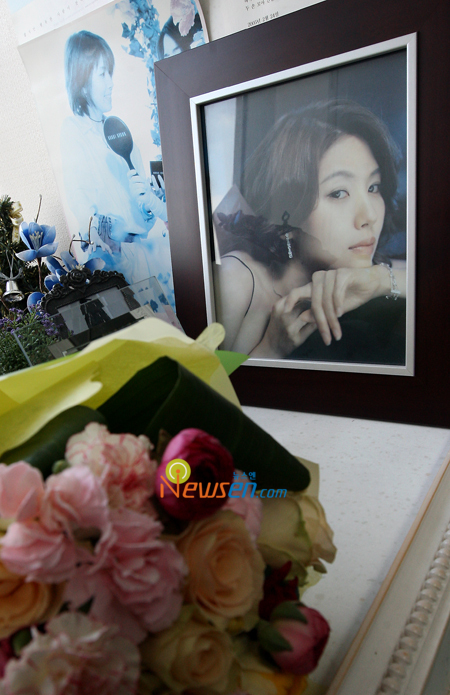 Four years ago on Feb. 22, actress Lee Eun-ju took her own life. On the 21st, the Korean Film Archive will hold a free screening of her well-known 2001 film "Bungee Jumping of Their Own" at the Cinematheque KOFA in Sangamdong. After the screening, director Kim Dae-seung. who debuted with "Bungee." and script writer Go Eun-nim will talk with the audience. with film critic Lee Dong-jin as the MC. "Bungee Jumping of Their Own" catapulted Lee Eun-ju to stardom after she gained public attention for her films such as "Trout." It is a love story transcending time, place and death. Lee played the lovely heroine opposite actor Lee Byeong-heon. After it opened on Feb. 3, 2001, the film earned high critical and public acclaim and was watched by 960,000 viewers, which in those days made it a box office hit. Lee Eun-ju starred in a total 9 films including "Bungee Jumping of Their Own." She committed suicide on Feb. 22, 2005. In an interview with Yonhap News in Seoul before her death, she looked back on "Bungee," saying, "I get emotional thinking about the film. There were many memorable scenes including a shadowy scene in which I teach the waltz." The archive stated, "'Bungee Jumping of Their Own' portrays Lee Eun Ju's confident beauty. As the story is about lovers who cannot forget each other even after death, the film will be a fitting reminder of her on the anniversary of her death." Does anyone know why actress Lee Eun Ju committed suicide? It was after she filmed Phoenix. Unfortunately, no one can really say for certain although it's already been widely speculated & highly debated before. It was believed that LEJ was extremely depressed about a lot of things but none knew and realized that she needed serious help. How time flies so fast.. it's now the 5th Anniversary since she's been gone. 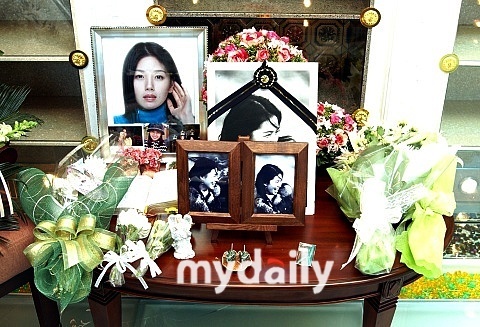 It was stated in articles that a memorial service for actress Lee Eun Joo was held in a restaurant in Cheongdam, Seoul on the 22nd at 7pm with the late actress' mother and brother in attendance including members from LEJ's fan-cafe remembering the deceased actress who passed away in 2005. Fellow actors seen at the memorial were Kim Kang Woo, Kim So Yeon and Director Lee Myung Se. Also present was singer Bada(?) a very close friend of the actress. The Korean movie renaissance continues apace with this extraordinary film from debut director Kim Dae-seung, working from Ko Eun-nim's equally extraordinary script, which tackles the universality of love in all its myriad forms. Hoping to spring a surprise on the film's notoriously conservative domestic audience, the distributors omitted virtually all references to the 'gay twist' from advance publicity materials, promoting the movie as a story of enduring love (the opening section is no different from dozens of other romantic dramas produced in SE Asia every year), headlined by some of the country's most popular actors. Korean superstar Lee Byung-hun (JOINT SECURITY AREA) is utterly charming as the beleaguered protagonist who stands to lose his friends, family and livelihood because of a sudden, inexplicable identity crisis (he isn't 'gay' in the true sense of the word, he's simply found his soulmate in an unexpected place), and he makes a startling transition from gauche youth to confident adult, touched by eternity; his emotions are palpable, and deeply affecting. Lee Eun-ju is strong in a largely thankless role as the woman who captures Lee B-H's heart (sadly, the actress took her own life in February 2005), while rising star Yeo (BIRTH OF A MAN) holds his own as the young man caught up in circumstances beyond his control. A romantic melodrama in the true sense, Kim's remarkable film balances magic and realism with exquisite grace (look out for the 'waltz at sunset' sequence, guaranteed to warm anyone's cockles), though the climactic descent into darker territory leads to an unexpected finale which is both sad and liberating, all at the same time. Unfortunately, the film has been saddled with an appalling English title which makes it sound like some kind of comedy, and prospective viewers are urged to look beyond this minor blemish. Brave, emotional, and played to perfection by a sterling cast, this is transgressive cinema at its most compelling. If you’re looking for news about a SuperJunior concert, reviews for a 2NE1 album, recaps of Korean drama "Sungkyunkwan Scandal" or simply anything about Korean entertainment, chances are you’ll find it on Soompi.com. 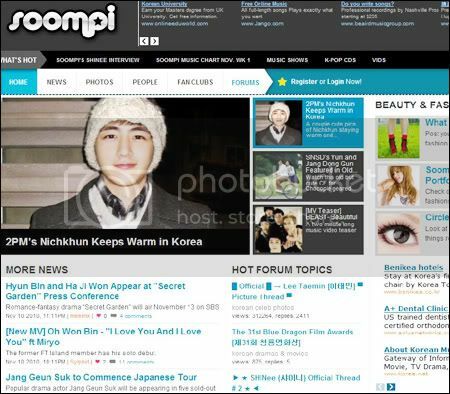 Soompi.com is the oldest and currently the largest English-language online community devoted to Korean and Asian entertainment, with a million unique visitors every month. Soompi has come a long way from its early days as a personal online shrine devoted to K-pop started by Korean-American Susan Kang in 1998. "I had recently graduated from college with nothing much to do. As a recent fan of both K-pop and the Internet (AOL was all the rage), I noticed that there weren't any English-language sites devoted to Korean pop music or TV dramas, so I purchased a book called `Make Your Own Website with Microsoft Word '97’, and the rest, as they say, is history," Kang said, now a 35-year-old mother living in Irvine, Calif., in an email interview with The Korea Times. Kang’s original site, Soompitown, was fairly simple. She would just upload photos of her favorite K-pop acts like H.O.T., S.E.S., Shinhwa and FinKL and English translations of Korean magazine articles, as well as post CD audio samples and her own album reviews. Basically, Kang ran the website out of "love" for K-pop. In the early 2000s, hallyu or the Korean wave began spreading around Asia and international fans discovered Soompi, the first website that actually provided English-language information about their favorite Korean stars. Soon Soompi became more and more popular, requiring more servers and more technical expertise. A team of volunteers helped moderate the forums and post content on the website, but Kang, who also worked full-time as a web developer, was running the website on her own as a hobby and it was starting to feel burdensome. For one, it was getting expensive to pay for the server fees out of her own pocket, although it was partially funded by member donations and small ad buys. Then came the fateful day, Oct. 5, 2005, when the entire Soompi website crashed. Its entire database of 80,000 members and millions of forum posts was gone. "I seriously thought of just making that the end of Soompi, as I'd been running the site as a hobby for seven years at that point, and was paying for the servers completely out of my own pocket," she said. "The turning point was when we re-opened an empty forum with 0 members and 0 posts, and within 5 days, we already had 40,000 members. That's when I knew that Soompi was bigger and more important than just one person's hobby." Soon, it became apparent that a more serious, business-oriented approach to Soompi was needed. In 2006, Joyce Lan Kim, a lawyer then working for technology firms in Silicon Valley, joined Soompi to handle the business side, albeit on a part-time basis. "I joined the company, working on advertising and thinking of ways the company can break even. Susan never started this with business in mind. It was always just about fun. It was about bringing K-pop to the people. But how we make this sustainable is our job," Kim told The Korea Times at a coffee shop in downtown Seoul, last week. Last year, Kang and Kim both decided to leave their full-time jobs and focus on Soompi. The 33 year old Kim, who studied at Cornell and Harvard universities and received a law degree from Columbia University, had no second thoughts giving up a law career. She sees Soompi as a good business opportunity with K-pop’s potential to expand around the world. Soompi is may not yet be profitable, but there is no doubt it is an Internet success with 500,000 registered members, and attracts over one million unique visitors every month (``That's like a small city,'' Kim quipped.) Revenues are currently generated from ads, premium membership and affiliate programs, but not enough for the company to break even. There may be other K-pop websites that attract more hits, but Soompi has the most activity among community members, such as posting content and comments on the site. "Our success comes from covering such a wide variety of topics - not only the latest K-pop news, but Korean dramas and variety shows, original fan fiction, our own member-run shops, beauty & fashion, among so much more," Kang said. Aside from sections on entertainment news, fan clubs and beauty & fashion, Soompi also has its own weekly music chart and annual contests, such as Soompi Idol, Soompi Dance Idol, Soompi Ulzzang, fan fiction writing and graphics contests. All contests were originally started by Soompi members themselves. This year, Soompi Ulzzang Contest, a modeling competition for Soompi members, has become an official event and sponsored by Korean entertainment company Sidus HQ. Member feedback is invaluable to keeping Soompi relevant. Whenever new features are launched, Soompi looks at the comments from members and makes the appropriate tweaks. Members can also vote for which Soompi fan clubs should be created next, as well as recommend new forums and sub-forums. Soompi is working to make the site more user-friendly. "It's not a hobby anymore. We have to do it for real. Functionality is very important for us. We are definitely working on making it easier to use, and on getting great content," Kim said. In terms of technical innovations, the Soompi Street Teams Twitter application is being launched. This will make it easier for fans to get their favorite K-pop idols on Twitter’s top trending topics. "We wanted to make it easier for everybody to join together and tweet in support of their celebs. Twitter is not just for K-pop, because it's for everyone... Each time a K-pop celebrity ends up as a Twitter topic, people go, `who is this guy?’ Like when (SuperJunior member) Kim Hee-chul was trending on Twitter, everyone was talking about him... We can expose more people to the world of K-pop," Kim said. Soompi is no longer just devoted to Korean pop music, but Asian pop and entertainment in general. It is also very much a global community, with most members from the U.S., Canada, Australia, Singapore, Philippines and Indonesia. The majority or 81 percent of Soompi members are Asian, while 8 percent are white, 5 percent are multi-ethnic and the rest are African-American, Hispanic and other ethnicities. The most surprising fact was 60 to 80 percent of the non-Asian groups said they "know some Korean." "It’s mostly non-Koreans, as opposed to 7 or 8 years ago when majority were Korean-Americans. Now Korean Americans are a minority on the site. We have ever growing number of people who are not even Asian. We have Caucasians, African-Americans, Middle East, Latin American, South East Asians," Kim said. Soompi stands out because of its tight-knit community and its members. "Soompi is very community-focused, not just information or gossip-focused. It feels like home to many, and there are many members who have literally grown up on the site ― from Junior High to High School to College to getting married and having children," Kang said. Noticeably, the Soompi forums are relatively free from the anti-fans and trolls who frequent K-pop websites to post vitriolic comments that rile up fans. "I think our biggest defining feature is our members. Our members are the ones who do the subtitles, episode recaps and organize fan meetings," Kim said. "We have good members." Perhaps it is not an exaggeration to say that Soompi has helped give a boost to K-pop and Korean entertainment’s popularity among English speakers. But while K-pop is undeniably big in Asia, there is yet to be a real K-pop breakthrough in the U.S., despite attempts by Rain, Wonder Girls and Se7en. "Honestly, I'm not sure if the U.S. is ready to accept Asians as idols, as Asians are still widely portrayed as awkward geeks or kung fu masters on TV and film, but I do believe it's just a matter of 'when', not 'if'. I hope it's sooner than later," Kang said. Looking back, Kang admitted being constantly amazed and inspired by the level of commitment and amount of time people will willingly volunteer to support their favorite idols. "Passion will drive people to do crazy and wonderful things," she said. In the future, Soompi hopes to leverage its brand value as the oldest K-pop online resource, and to continue fanning the flames of K-pop and Asian pop fever around the world. "In 10 years, I'll be 45 years old. I hope by then, the Soompi community will still be going strong, with the love for Korean and Asian pop being passed to a much wider audience. We'll still be providing the best place for people to express their fandom and meet others who share their passion," Kang said. The 6th Anniversary since she went away..